Leading the way in affordable and reliable Bathroom Fitting companies in Surrey. All aspects of Bathroom Fitting work undertaken at competitive prices. 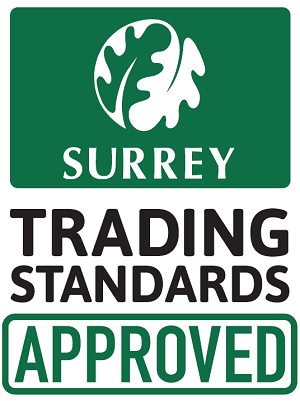 A FRIENDLY AND RELIABLE TEAM WHO WORK HARD TO MAINTAIN OUR REPUTATION AS ONE OF Surrey'S MOST TRUSTWORTHY Bathroom Fitting COMPANIES. Godalming Bathrooms are professional bathroom installation specialists with a wealth of knowledge and experience fitting bespoke bathroom projects across Surrey. All installations are fully managed from beginning to end with our team that undertakes all plumbing, tiling, electrical and decorating works. We offer bathroom installation, renovation, refurbishment, wet room and shower room installation. A meeting will be arranged to visit your home to discuss your project in more detail. This will enable us to put a detailed quotation together to meet your individual needs. Our skilled fitters will carry out all the necessary work including initial rip out of the old room, plumbing, tiling, carpentry, flooring, plastering, electrics and decoration to give you a fully finished bathroom of your dreams. So if you're looking for a Bathroom Fitting company in Surrey with many years experience in the Bathroom Fitting trade then look no further than Godalming Bathrooms. Whether it’s a query or a quote, pick up the phone and call 07788286315 today or visit our contact page or send us an email. Godalming Bathrooms have been providing the people of Surrey with a wide range of customer focused Bathroom Fitting services for many years! Godalming Bathrooms have many satisfied and returning customers because we provide the best and most comprehensive Bathroom Fitting services in and around Surrey, with a friendly service from start to completion, and a time served and highly skilled team, you can rest assured that you are getting both excellent value for money and a personal service at each and every job we attend. Godalming Bathrooms are members of, or accredited by the following, you may be able to click on some of the logos below to view more information. I had new tiles and had a new bathroom suite fitted " Very helpful company who did the work with minimum fuss and mess, I am very happy with the work and would be happy to recommend Godalming Bathrooms to friends and family. " New bathroom fitted " Richard and the team installed a new bathroom for us in Farnham. The team were brilliant and very friendly and kept us informed every step of the way. We absolutely love our new bathroom and Richard managed to help us design our dream bathroom and install it to our agreed price with no fuss, mess or surprises. Overall we're super happy. Thanks again. " New bathroom replacing existing older bathroom " Very pleased with work, carefully executed by a skilled team. Richard was at great pains to ensure our satisfaction including a post-completion check-up. The resulting bathroom is a pleasure to be in, and a complete transformation. " New shower/ bathroom " Richard was very courteous in every dealing I had with him. He was clear and precise on what was happening throughout the project and I felt I could always ask him if I had a question. All the work carried out was to a high standard and top quality finish. His team were all pleasant and professional too. " New en-suite fitted " Really pleased with our en-suite which has been finished to an excellent standard by Richard and his team. They were all very friendly, polite, trustworthy and reliable. Would highly recommend. " Removed existing bathroom, fitted new shower, bath and furniture and re-tiled " After installation they were happy to come back and resolve a couple of teething problems, which were done promptly. " Godalming Bathrooms are on the following social media platforms, please click on any of the relevant links below to connect with us. "Our customers are very important to us. We show true dedication to meeting their exact needs, and this is what keeps them returning to us for Bathroom Fitting work time and time again." Our mission is to provide the residents of Surrey with a no hassle Bathroom Fitting services where all work exceeds expectations, meets deadlines and offers excellent value for money. We work very closely with our clients to ensure complete customer satisfaction.